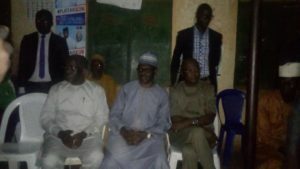 GUBER CAMPAIGNS: ADP AND GEN. TEMLONG, HIT KANKE, PANKSHIN AND MANGU LGAs WITH….. 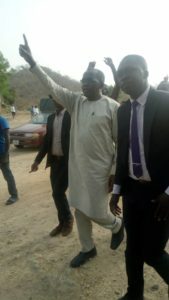 The ADP gubernatorial candidate, Gen. Jonathan (Jon) Temlong has promised the people of Kanke and Pankshin Local Government Areas (LGA), a Plateau state with adequate security and good governance, if elected as governor this coming Saturday as he hits the LGAs with his Door-to-Door campaign. 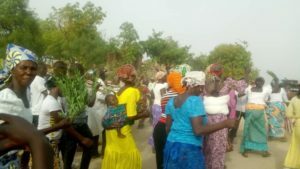 Temlong gave this assurances, during the ADP campaigns in Langshi where he and his team pay homage to the district head, His Royal Highness, Ngolong Bulus Pakmeh. Speaking through his running mate, Dr Daniel Dimulak Mwanmut, Gen. Temlong said, “We are here to greet you and to seek your Royal blessings. We need your support and that of your people”. “We are tired of the killings in the state and we want to bring peace back to the people, just as our founding fathers, J.D. Gomwalk did. We want to run a government of the people through meeting their expectations. In his response, the Ngolong Pakmeh, thanked the team. 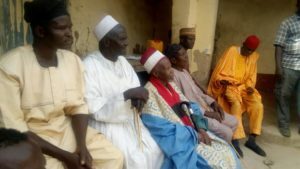 The oldest and longest serving traditional ruler in the state prayed and pronounced blessings for the success of ADP in the forthcoming elections. He however cautioned the team to fulfill their campaign promises if voted in. 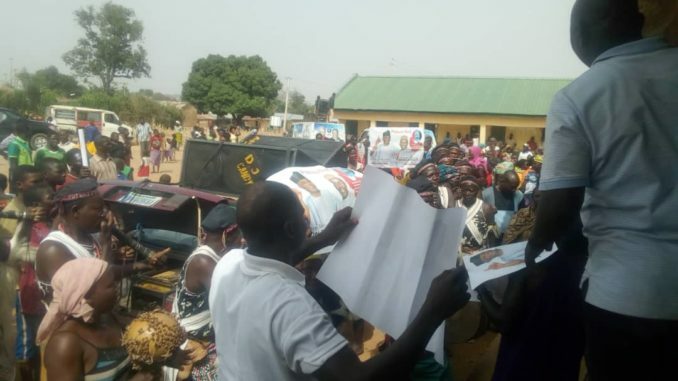 Dr. Mwanmut after the palace, addressed a mammoth gathering at the LGEA Primary School, Langshi, in Kanke LGA, where he told them that, the ADP is the only credible alternative and that women and youths would be given priority in their government if elected. 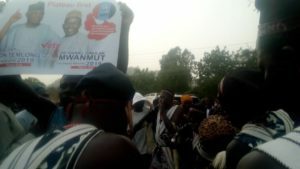 The campaign team left for Amper District and later Kabwir District in same Kanke LGA, where they visited His Royal Highness, Nde Emmanuel Jatau. While welcoming the team, the District Head of Amper, acknowledged that he knows, Gen. Temlong, long ago, he is his in-law and that their cultures share things in common. “I wish you all the best. I assure you, I am strongly behind you. Plateau needs good people to take it to the next level. Kindly deliver my message to General Temlong”. The Royal Father added. On their part, the people gathered to welcome the ADP gubernatorial candidate, At Jurbe Hotel in Amper . While speaking, Mwanmut said he was grateful for their patience since morning. “We are here because of our people. Our people are tired of empty and unfulfilled promises. We want to stop the killings in Plateau state. “We will provide security, sustainable peace and provide development by boasting tourism. We will run a government of the people by letting their voices to be heard. We shall create job opportunities through giving out loans and entrepreneurship to youths and women.” He stated. At Kabwir district where Mwanmut addressed the crowd, he said, “if you give us your vote on Saturday, we will not fail on our promises. We will provide credible leadership because , God has given us the mandate to change our land and enough is enough for suffering in plateau state”. 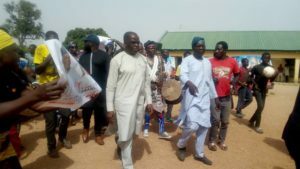 At the Pilot Science Nursery and Primary School Mangu LGA, the ADP gubernatorial candidate Gen. Temlong and his running mate, paid homage to his home town and promise his people that if they supported them, he promise never to let them down. While speaking to his people the Gen. Temlong’s running mate, promised the people, good hospital facilities and electricity, if they assumed office. To close the tour and campaign for the day, the ADP gubernatorial candidate and his team, visited the palace of the Miskaham Mwaghavul, Da. Nelson Barfur at his Palace in kerang in Mangu LGA, to pay pleasantries.